“True Detective” meets H.P. Lovecraft in this chilling novel of murder, mystery, and slow-mounting dread." 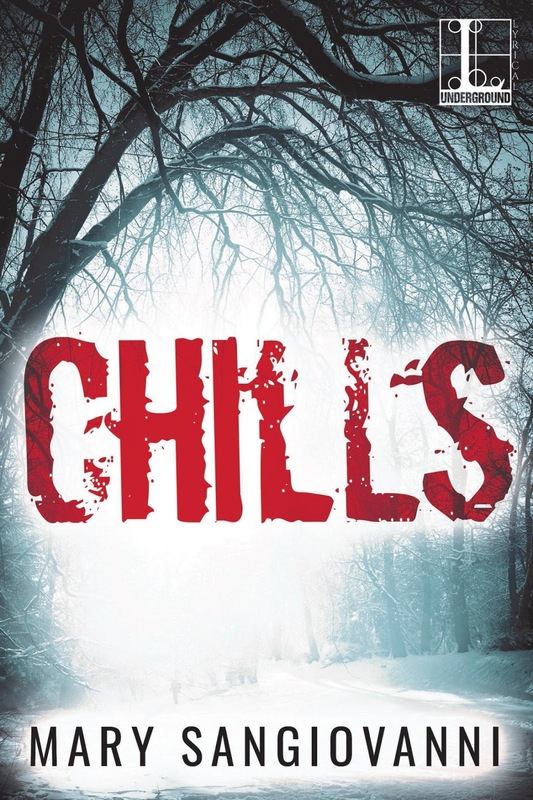 If that tagline hits all your buttons, then Chills promises to be a damned fine read. Personally, I would have liked a bit more Lovecraft and a little less True Detective, but I cannot complain about the murder or the dread. This is a monstrous tale with a serious body count in the opening chapters, and I loved that Mary SanGiovanni didn't tease the reader with her monsters - they're right there, on the page, and dripping with blood. The concept here is fantastic, with a small town in Connecticut experiencing a freak, end-of-May snowstorm. We're not just talking cold and flurries here, we're talking state-of-emergency blizzard. What's more, there are monsters in the snow, tentacled, fanged, skittering creatures that stalk their prey and paint the cold, snowy landscape with their blood. As we soon discover, it's all the work of the Hand of the Black Stars, a cult intent on opening the doors to other realms, and inviting the old gods in. There was a lot here to like. The atmosphere was perfect, the monsters were suitably grotesque, and the supernatural threat was legitimately fearsome. I liked the mystery behind it all too, along with the occult mythology. On the downside, the pacing was rather uneven, with too long of a lull in the center, and the characters were a challenge for me. They were serviceable, but it felt like the only ones with whom I formed any sort of emotional attachment were those about to die. 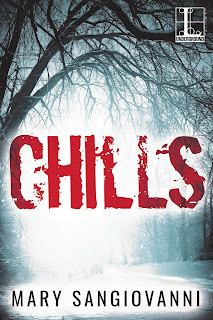 An interesting book, full of more Chills than thrills, and a refreshingly original entry in the horror genre.